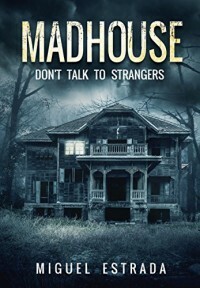 Madhouse: A Suspenseful Horror, Don't Talk to Strangers by Miguel Estrada is a frightening book. It's about eleven-year-old Lucas, a runaway because of his parent's pending divorce. He's picked up by a woman who promises to provide a loving family for him. Things are not always what they seem. I gave it five stars. He sneaked out of the house after his parents were sleeping. "Lucas wasn't afraid of the night. It was the darkness that made his hairs stand on end, but he didn't have to worry about it at the moment, all of the streets were brightly lit."